BEING HEALTHY SHOULDN'T BE HARD. Join the friendly gym. Reach your goals and get hands-on help when you need it most. 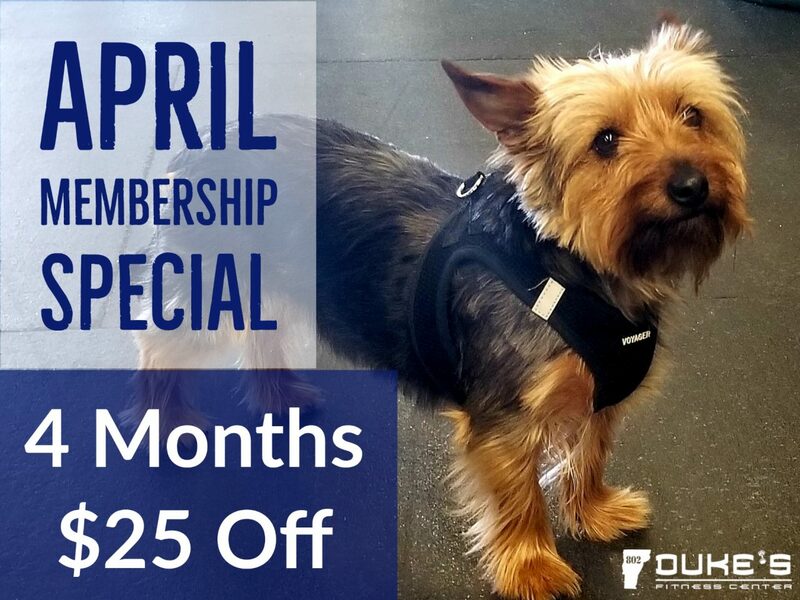 AT DUKE'S, YOU'RE MORE THAN JUST A MEMBER. Health and fitness is a passion that I want to share with the world. For me, helping people live happier and healthier lives is a personal mission. And with Duke's, you can be a part of that. “Tomorrow…I’ll choose better health tomorrow.” The time is now and we have your back. Break the Tape 8 week Running Program begins April 16th! Duke’s Fitness Center is now a Rise VT partner. Reaching your goals can be tough, and we know that. Exercise and healthy eating isn't easy, but that's something we're here to change. Our personal training and health services are built around your unique physical fitness goals and dietary needs. STRENGTHEN YOUR BODY AND MIND WITH WEEKLY YOGA CLASSES. INTENSE, YET LOW-IMPACT CYCLING. WE’RE AN OFFICIAL SPINNING™ FACILITY. GET STARTED ON YOUR WAY TO A GREAT TAN IN UNDER 10 MINUTES. WORK OUT WHEN IT FITS YOU BEST. OUR GYM IS OPEN 24/7. Hilary enjoys running, reading, shopping, sudoku, cooking, and baking. Gail loves world travel, power-lifting, and zip-lining. Paula is a certified aerobics, cardio, yoga, and Spinning instructor. Kate is a lively instructor who enjoys organizing community workouts. Dan understands that injuries aren’t the end of pain-free fitness. Kevin is a trainer, boxer, and mixed martial arts athlete. Instructing since 1996, Michelle teaches a variety of fitness classes. Nate’s been working professionally in the health industry since 2002. 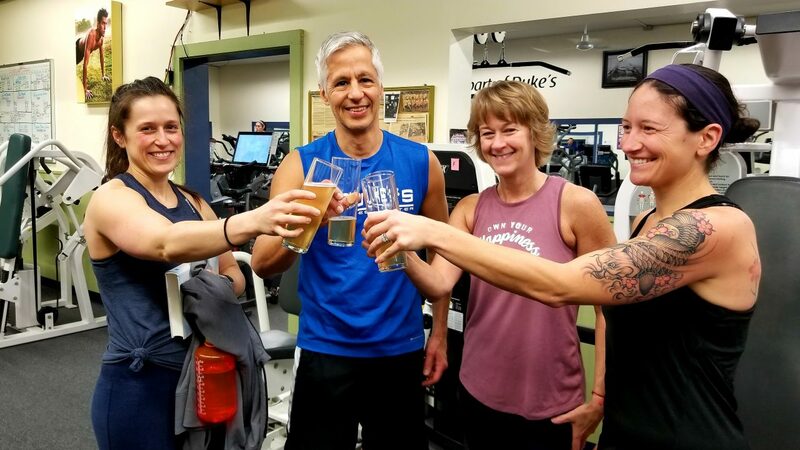 Jeannine’s been instructing Spinning classes here since 2002. Jessica has nine years of west coast wellness experience. Lisa enjoys focusing on fun, results-based workouts. Jessica excels in hiking, mixed martial arts, and healthy cooking. Luke is a Level 1 Boxing Coach with Rail City Boxing Club. Hans is a Level 1 Boxing Coach with Rail City Boxing Club. Patty is our Warm Yoga Series Instructor. Michelle’s goal is to build confidence in her students. Rachel loves to dance and teach fitness and Pilates classes. Ann teaches a Slow to Moderate Vinyasa Yoga, suitable for Beginners and Seniors. Cindy is a lifelong fitness enthusiast, instructor, and avid kayaker. Lindsay’s all about weight training, cardio, and Spinning. From cycling to figure skating, Candace does it all. Patrick has been a Personal Trainer since 2011. Robert is an Instructor, leading Tai Chi classes regularly each week. "My overall fitness has made significant improvements." "Being a long-distance runner, I have experienced greater endurance and less injury. The entire facility is clean and well organized. The staff welcomes when you enter the gym and is always available to answer questions and offer support." 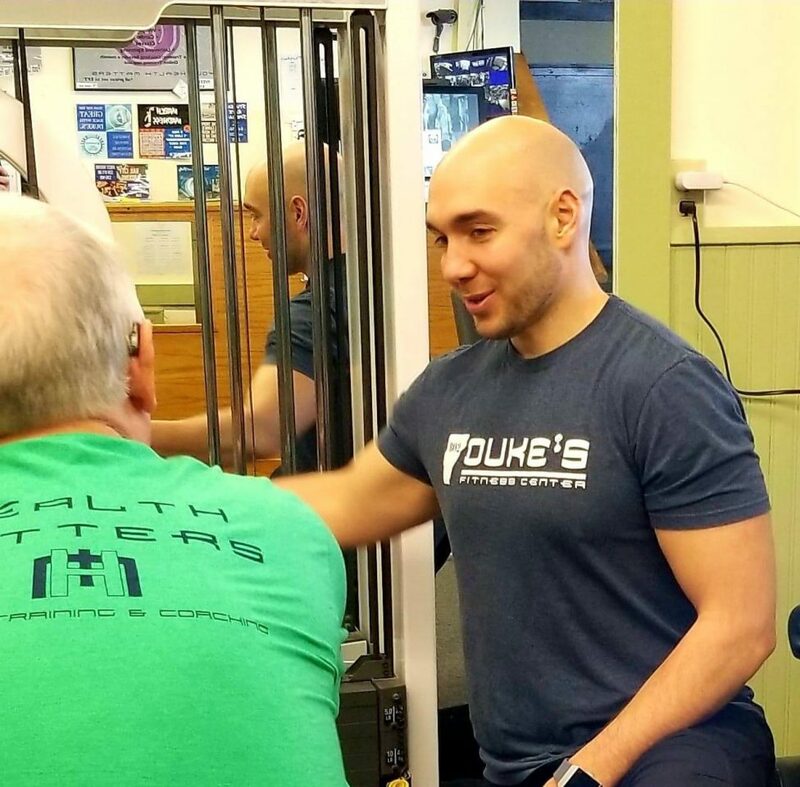 "Duke's presents a positive atmosphere and provides its members with the added initiative to have a productive workout." Let us know who to contact if something happens. Almost done. Here are a few more questions. Is your partner, child, or parent already a member? Can we refer you to services provided by our members? Yes, I've read the Cancellation Agreement. After submitting your information, you'll be redirected to our online store. There you can pick and purchase your membership plan and pay simply and securely via Square. Bring a printed or digital copy of your receipt to our front-desk to complete your membership and get a member ID.